To improve the health of the Jalapa community by sharing our medical expertise and resources with our medical colleagues and patients in Jalapa and to enrich the lives of our volunteers. Recruit and retain qualified medical volunteers and provide a satisfying experience for them. 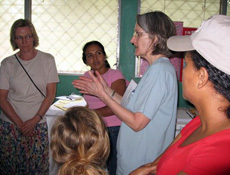 Continue to expand our understanding of medical needs in the Jalapa area. 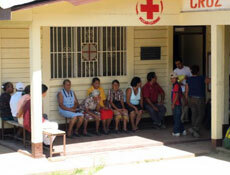 Deliver sustainable, high quality medical services with demonstrated positive impact for residents of the Jalapa area. 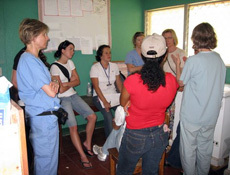 Develop better systems and organizational structures to ensure quality medical services and efficient use of resources. ISLA's Mental Health program has developed ongoing treatment plans for mental illness. We continually need physician internists, nurse practicioners, phyisician assistants, and nurses who have some experience in psych care. Plenty of pre-trip training is included. We work on sustainable and collaborative medical programs that answer the healthcare needs of Jalapa and its surrounding communities. "I’m grateful that ISLA recognizes the amount of effort and love we put into our work here in Jalapa. Sometimes we don’t get that kind of support from our local supervisors. I’ve learned a lot from working side by side with people from ISLA. ISLA does good and important work. Also, you’ve brought medications that many of our patients wouldn’t have had access to. You’ve done so much good, and I hope you will continue to bring medical teams and people with good hearts like all of you. It lifts my spirit so that I can continue to move forward."